We all love a quick getaway to break the monotony of city life; and a weekend at the queen of hills was just what we needed to end the year 2016 on a peaceful note. It was a sheer coincidence when we were planning a short winter break, an invite from newly built Hotel Mosaic in Mussoorie (Uttarakhand) reached our mailbox and we couldn’t resist the charm of exploring a beautiful destination in the hills. 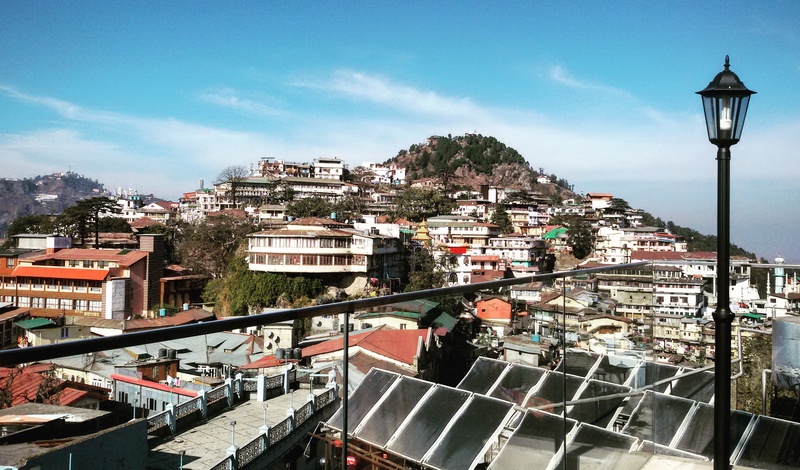 Mussoorie, a pretty little hill station situated at the foothills of the Garhwal Himalayan range, is an ideal place for a quick break from cities (Delhi, the nearest metro city is approx 280 km). While some of you may prefer to drive through the scenic hills, we took the overnight train (Kalka Shatabdi Express) to reach our destination early Saturday morning. After an hour’s drive from Dehradoon, we were at the gorgeous five-star property Hotel Mosaic, which was officially launched in the month of July this year. This newly launched venture of Shipra Group under the Tux Hospitality has 45 rooms, conference hall, swimming pool, multi-cuisine restaurant, gymnasium, spa and a kids’ play area. The hotel is located at the bustling Mall Road from where one can see the lush Doon valley and starry skies after sunset. 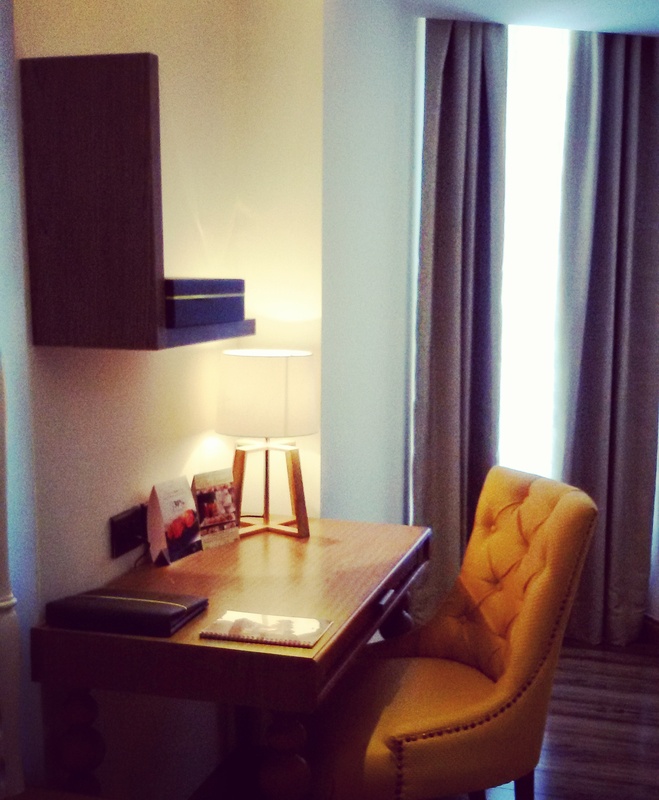 The best thing about reaching our hotel was the joy to live beautifully designed suites – we couldn’t help but notice the assembly of very many modern interior styles used in the entire property. 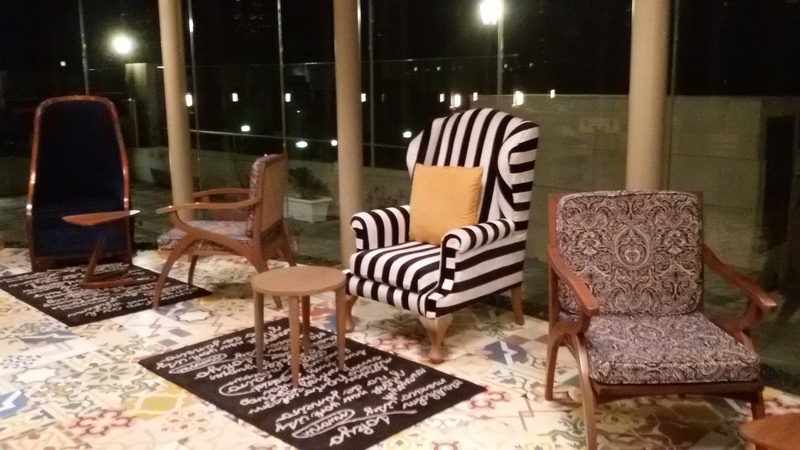 Right from the bold striped accent chairs placed in the reception area paired with the quirky wooden drawer-inspired desk and steely structural chandeliers to the vibrant colour combinations across the suites – a magical mosaic of interiors absolutely justified its name. The rooms were divided into various categories and depending on the view of the hills, one could choose between the attic suite and the deluxe suite. 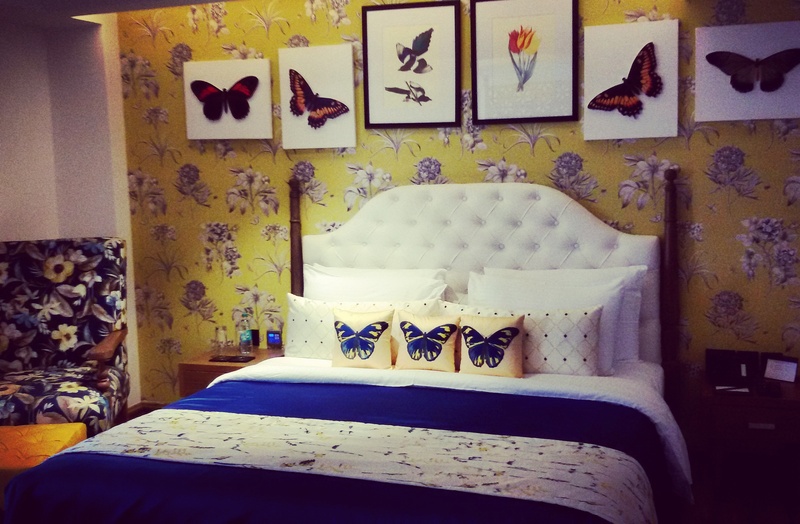 Since it was a solo vacation for me, I picked a deluxe suite with a comfy bed surrounded by beautiful butterflies (not literally, but in the form of artwork on walls and on my bedspread). The crisp white reticular separator in front of the printed couch and velvety curtains added a cosy, warm vibe to my room. 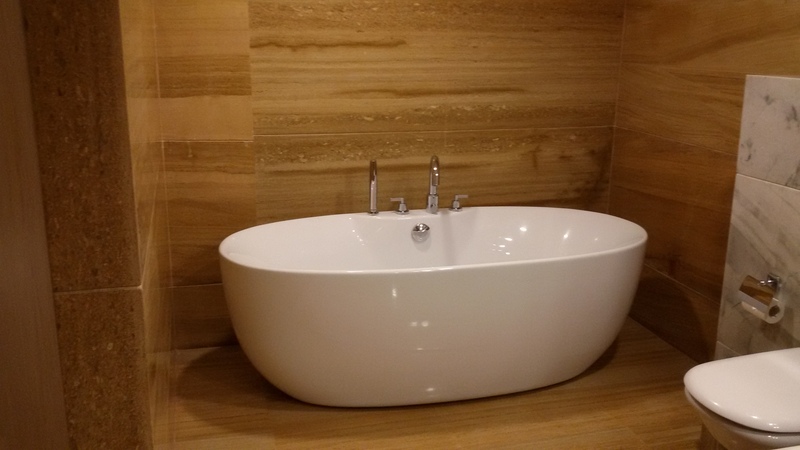 As I checked the bath area, I was happy to find a lavish Jacuzzi and state-of-the-art shower space – a perfect place to unwind and rejuvenate after a tiring day. The two-day trip was accompanied by some lip-smacking Indian and Chinese food that we tried at their in-house restaurant called ‘Random’. 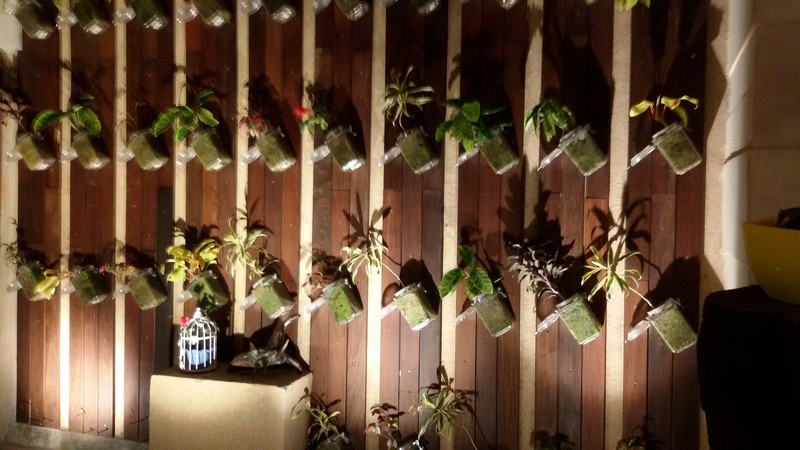 Also, one of the most interesting things about the hotel was the bio-wall that was created by planting small plants in containers that were placed across the walls. The hospitable staff guided us through the touristy places around the hotel and curated an interesting itinerary for us to explore the hills. A trek at the Benog Hills and a visit to the oldest house in the corn village called Bhatoli is something that we will remember for long. 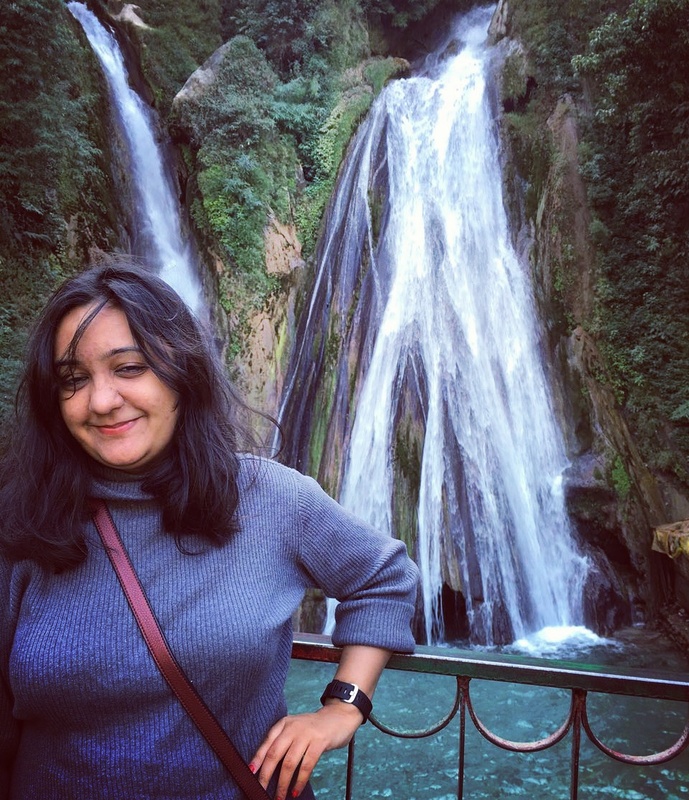 And, while we drove through the serpentine roads of Mussoorie we stopped by the pretty Kempty falls and cute curios across the mall roads before saying a final goodbye. 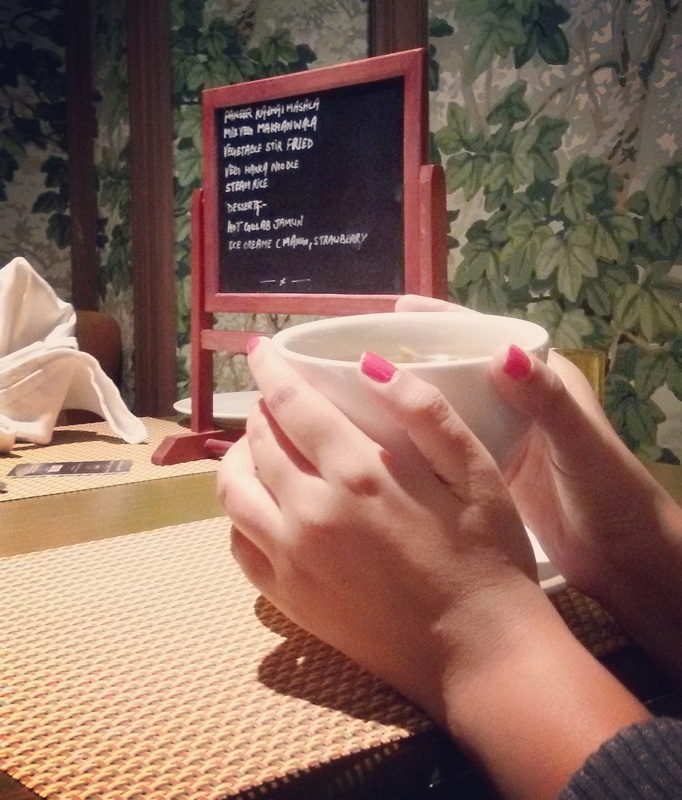 So this holiday season, pack your warmers and step into your comfy shoes to explore the luxe life at Mosaic Mussoorie. ← Where in The World Will You Be Ringing in The New Year?